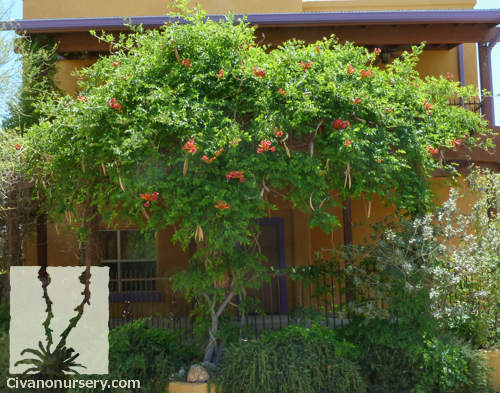 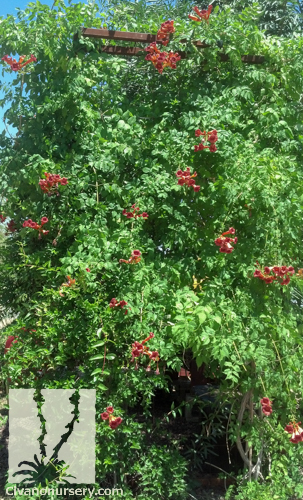 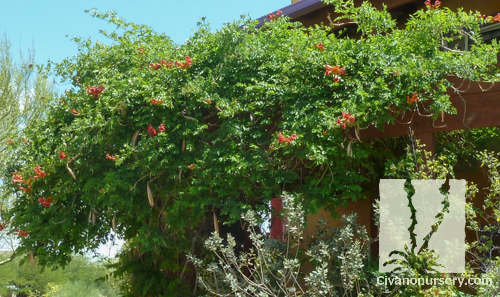 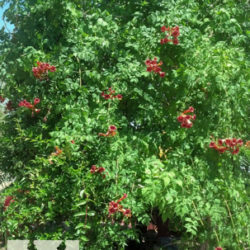 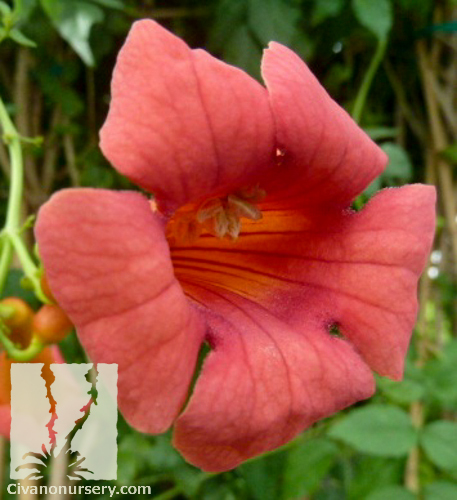 Trumpet Creeper is an extremely cold hardy vine that will quickly cover any structure. 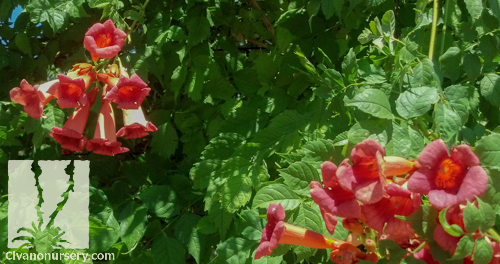 Cluster of six to twelve hot colored red-orange flowers cover lustrous green foliage for most of the year. 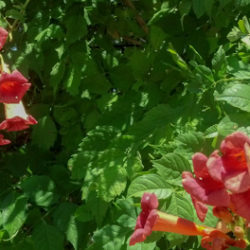 Hummingbirds and orioles are particularly fond of the nectar and will travel from miles away for a drink. 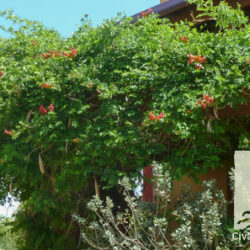 Strategic planting is necessary, because this deciduous vine self-climbs by aerial rootlets, which may be damaging to some structures. 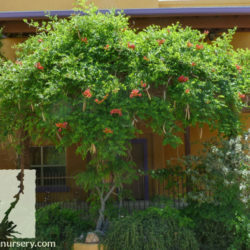 Plants can get quite heavy with age, so thinning out, pruning, and cutting off suckers will help keep this deciduous vine in check. 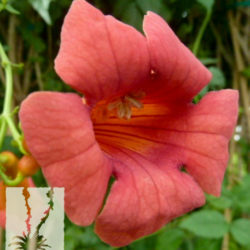 Though Trumpet Creeper is quite drought tolerant, regular irrigation will render superior blossoming and foliage.